Which supplements can help to lower blood pressure? 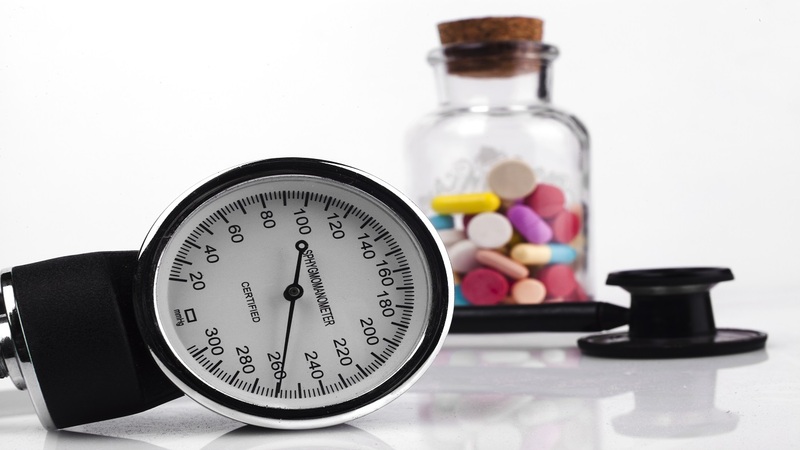 See the Encyclopedia article about Hypertension for more information. no drug can do that. Having tried just about all the above suggestions - the ones I can pronounce and easily spell - over the past few decades, I was very happy to finally find what worked for me - big time. Vitamin C, when taken in large amounts dropped my blood pressure from 132/80 to 110/70 virtually overnight. Using 2500-5000 mg per day mixed into my drinking water kept my bp down, forgetting to mix and all it took was a couple of days for it to quickly return to 130/80. Note the decrease in the spread of 10 points, also a significant/healthy change. Warning: Taking high amounts of C didn't change my number of daily BMs but it certainly changed the consistency, ie, bowel intolerance - get to know your number before getting too far from a toilet. 67 year old healthy, prescription free, and active male. Hi Patricia - Thank you for sharing your experience with this. However, please be aware that this is a very large dose of vitamin C, which can have negative effects (see the "Concerns and Cautions" section of the Vitamin C Review: https://www.consumerlab.com/reviews/vitamin-C_supplement_review/vitaminc/#cautions). In clinical studies showing vitamin C lowered blood pressure, lower doses were used (see the "What It Does" section of the Vitamin C Review: https://www.consumerlab.com/reviews/vitamin-C_supplement_review/vitaminc/#bp). Another 67 year old, active male, would like to ditto your comments. For the first time in decades my Bp is under 120/80, although it took weeks. I should also add that I started taking Magnesium supplements around the same time which erased what I thought was an irregular heart-beat, but now suspect heart spasms were causing the symptoms. Potassium supplements will soon be added to complete our daily electrolyte restoration. Do Docs even check electrolytes in senior patients - all that tea and coffee we consumed we replaced with water but obviously we were stripping away our electrolytes. With all the sugar in natural juices and being low calorie consumers over-all, we simply cannot keep enough electrolytes in our systems without supplementation. My personal experience with olive leaf is that it lowers blood pressure as stated in the article. Normally when I go in for a check-up, it's right around 120/80. Last summer at my regular check-up I had been taking olive leaf for a couple of weeks, and my blood pressure registered 101/58. Like other supplements, the actual level olive leaf extract in the olive leaf capsule can be different from the percentage stated on the label. Good brands I have used are Olympian Labs and Natural Factors. Consumer Labs reviews would show others as well. Before using be aware olive leaf usually cleans out your digestive system the first couple of days of use. Rutin works. Lowered my BP by 7-10 points. HTN is poorly understood. HTN is just a symptom and there are many causes. Meaning specific supplements only work on specific causes. The real question is how do I identify what is causing my HTN so I can correct it? why not eat a whole food plant based diet, with no flesh. the body makes its own cholesterol. it doesn't need any from animals. that way a body would get all those vitamins and minerals and phytochemicals without taking any pills. what do you think? Good morning, I would say you're missing one of the most important supplements to take for high blood pressure. There are at least a dozen studies on Co Q10 lowering blood pressure. It's very safe, very cheap nowadays, and very effective. Hi Trace - We've now added information about CoQ10 in the answer above. "For high blood pressure: 120-200 mg per day divided into 2 doses." I would be very interested in your thoughts on this since I am taking 100 mg twice a day to help with my high blood pressure and offset any adverse effects of the low dose Lipitor (5 mg/day) I am also taking. Thank you. I consider Consumer Lab a reliable source of information on the web. Thank you for your kind words, Richard. We've added information about CoQ10 to the answer above. My husband was taking Lisinopril for BP issues, and we were uncomfortable with the potential side effects. After checking it with his doctor (GP) I discontinued it and put him on Hawthorne Extract - Total of 2500 mg. divided into the 3 meals. It took a few weeks to stabilize, but for over a year and half now his BP reading is usually around 128/62. What do you think was causing your husbands HTN ? Why is hawthorne extract effective at lowering blood pressure? Is it safer than ACE inhibitors? With liquid Hawthorn, how many drops does 2,500 mg. come out to? My Nature's Answer liquid Hawthorn I've been taking is 2,000 mgs & I've been taking 24 drops 2-3 times a day. There are at least 6 studies showing co-enzyme Q 10 in doses of 300 and 350 mg/day lower synstolic and diastolic BP. I am surprised you didn't mention this important supplement for BP control. I am a registered and lic. ensed dietitian and nutritionist and use co Q 10 often with patients. Hi Mary - Please see the information we've added about CoQ10 to the answer above. I have read that olive leaf supplement can lower blood pressure. Is there any research done on that? Thanks. Hi Mary - Thank you for your question. We've added information about olive leaf extract to the answer above. How about hibiscus tea? I've read it can be helpful! Hi Geri - Please see the Encyclopedia article about hibiscus (https://www.consumerlab.com/tnp.asp?chunkiid=108309) for the clinical evidence for its use to lower blood pressure. Readers can go to People's Pharmacy website, enter hibiscus tea in the search box, and several articles will come up regarding use of this tea for high BP, including how to prepare it (flower to water ratio). I began fixing it for my husband just as his BP was beginning to increase, and a daily serving of it has kept his BP within normal range. What about the use of natural reserpine that is found in the supplement Carditone? It seems to work well for many people and used to be a prescription drug. I was wondering what amounts to take the supplements. You do not mention how much to take to achieve the goal of reducing blood pressure. Hi Lina - The links for each supplement in the answer above provide information about dosage. I did not find anything on celery seed. I heard that it has been very successful for lowering high blood pressure. Thank you. Hi Ron - There is some preliminary evidence that celery seed extract may help to decrease elevated blood pressure; for example, it was found to lower blood pressure in rats with high blood pressure, but not in rats with normal blood pressure (http://www.ncbi.nlm.nih.gov/pubmed/23735001). We are aware of only one study in people, which was authored, in part, by employees of the companies which sell the exact used in the study (http://www.naturalmedicinejournal.com/journal/2013-04/pilot-study-evaluate-antihypertensive-effect-celery-extract-mild-moderate). This study found that 150 mg of celery seed extract standardized to contain 85% 3-n-butyl phthalide (3nB) taken daily decreased systolic blood pressure an average of 8.2 mmHg and diastolic blood pressure an average of 8.5 mmHg after six weeks. However, this study did not include a placebo, and so the significance of this is not clear. This CL Answer initially posted on 12/12/2015. Last updated 3/19/2019.